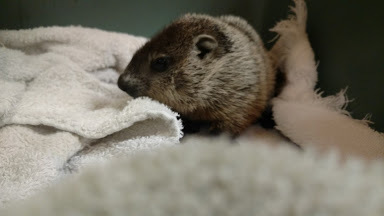 Many of you have been kindly calling and writing over the past 24 hours to ask if our Wildlife Center along the Platte River in Louisville, NE is safe and asking what you can do to help wildlife during this difficult time. Because of that, we decided to share some information on our site, by e-mail, and by social media. First, please know that yes, our Wildlife Center in Louisville is indeed on/near the floodplain, and in minor floods, often takes on water. We do expect problems in the building in the coming days. Fortunately for us right now, all of our animals have been evacuated from the Wildlife Center since early December due to needed renovations that have left the building unusable for the foreseeable future. If the building floods, we will lose a large amount of equipment and supplies – but those things are replaceable and not as important as the animals. All of our patients are currently being cared for at our second site in Washington County, which is well out of harm’s way. In the coming weeks it is likely that we will share with you plans to move in the spring or early summer, and where our public Wildlife Center will be. We might need your help getting to our goal, and hope that you’ll hang with us until we have news we are ready to share. Do not interact with or feed wild animals. Thank you so much for your care and support!